After Easter one of two things happens.... your waistline expands or your skin freaks out. Between eating lots of sugary treats and (possibly) travelling over the long weekend, it can be a recipe for skin disaster. Biore are always a brand I go back to when I have a major skin breakout. I love their Warming Anti-Blackhead Cream Cleanser. I used it after having my daughter when my skin went ballistic. I always find within a month my skin has gone back to normal and I use whatever I was using before (which is normally something more for normal skin). I raved about my love of their Even Smoother Microderm Exfoliator back in December and am it is still in my shower being used once or twice a week (depending on how nice my skin is feeling!). Also in their range is their Gentle Make Up Removing Wipes, Pore Unclogging Scrub and their famous Deep Cleansing Pore Strips. I hadn't used these before, but have used many other make up removing wipes. What I love about these is that they are gentle, but still can remove waterproof mascara. If you have dry skin, make sure you follow up with a moisturiser or you'll find that your skin can feel dry. They are Hypo-allergenic, non comedogenic and also alcohol free (which I love). I like that the wipes aren't smooth, but have tiny squares. The texture helps to make your skin feel refreshed. One of the great things on the packaging is that it suggests using the wipes within 45 days after opening (I'm a sucker for a best before date!). I like to keep my opened make up wipes in a zip lock plastic sandwich bag to keep them from drying out. 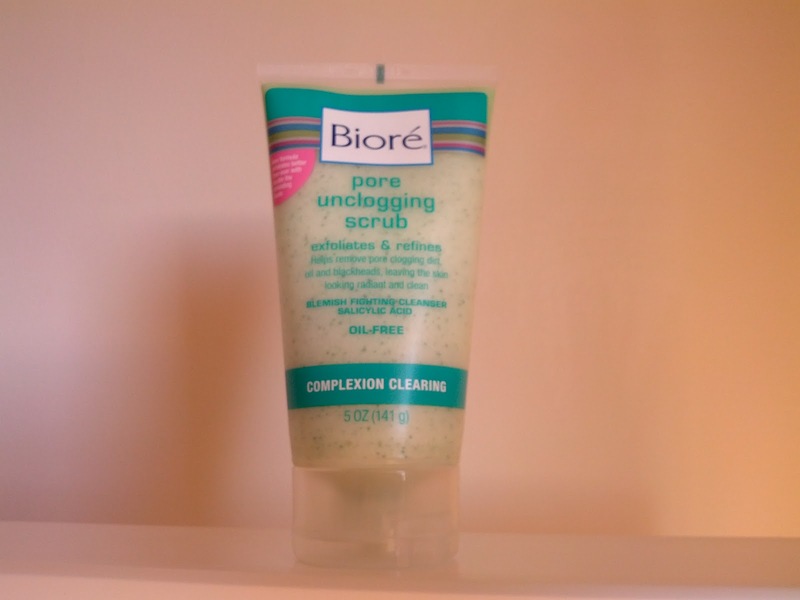 I'm a huge fan of their exfoliator, and this scrub is also fantastic. It reminds me of a mix of their exfoliator and Warming Cream Cleanser. You can really feel it work. It has that slight tingle on the skin which feels great as you know it 's working. It helps to exfoliate, but don't contain harsh beads that feel scratchy on your skin. It contains Salicylic Acid to help fight blemishes and keep your skin clear. While it's soft enough to use everyday, if your skin is dry once or twice will be enough. I like that this is something that I can use once or twice a week when I have hormonal blemishes, but it won't upset the balance of my skin by drying it out. I used to love using these when I was a teen, but haven't used them for a few years. These can be used weekly, but don't use them more than twice a week. Also don't use them if you have blemishes or scratches/sores on your nose, or it can create trauma to them and leave you scarred. For me, I don't really stress about blocked pores (I'm more concerned with redness/uneven skintone and blemishes) but found these great. I'm amazed (and grossed out) about how much "junk" is removed when you use these. 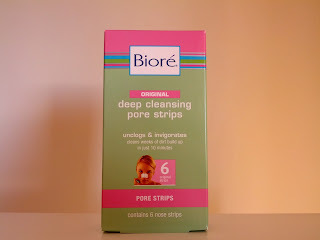 I didn't realise how blocked my pores were. They'll definitely become part of my weekly routine. 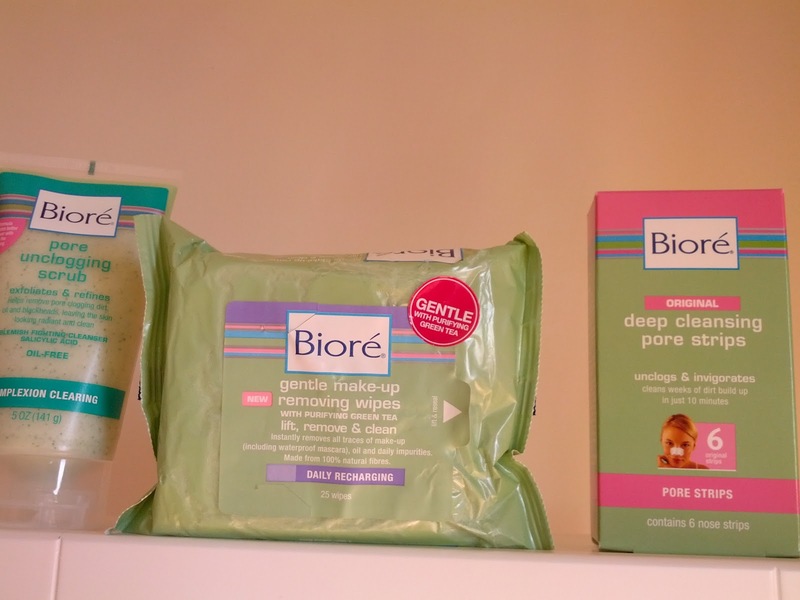 Are you a fan of Biore? Are you also grossed out by the junk left behind on the nose strips? I was kindly sent these for consideration. All thoughts and views are completely my own, and are always 100% honest. See my disclosure policy here. 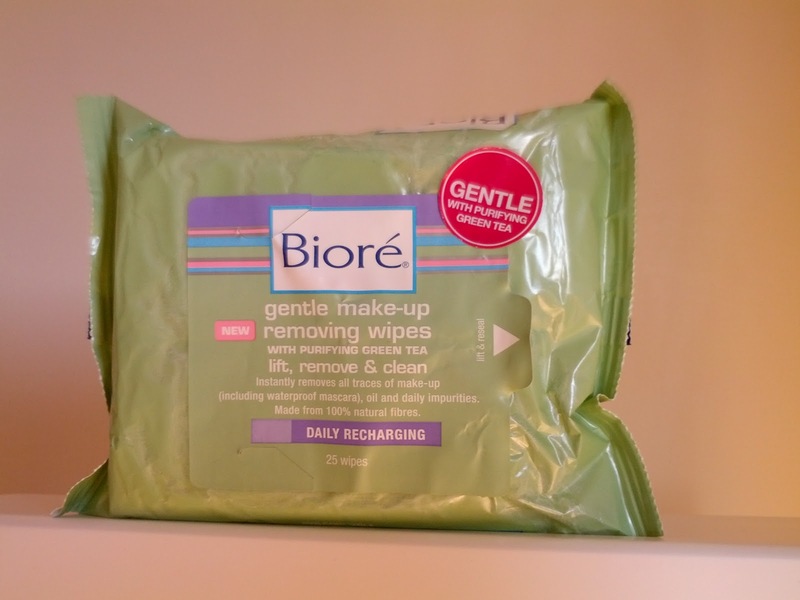 I really like Biore. I used to use the Warming cleanser as well as the anti-pore one and really really liked them. I'm not sure why I stopped actually. The cleansing wipes are really good however I somehow ended up with a packet of the Burt's Bees ones and they are fabulous. Definitely check them out if you have a chance! I have some Burts Bees ones, but haven't used them yet. How amazing is the cleanser! It's my go to one whenever my skin is freaking out. I use their detoxify scrub and I really like it but I also really want to try the pore unclogging scrub cuz I've heard so many good things abt it!! 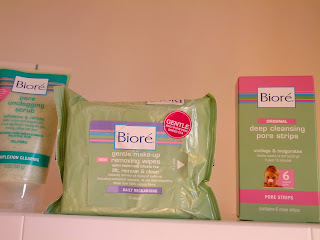 I really like Biore as a brand, they are fantastc! They are great!!! I love that they're easily accessible. There is nothing more annoying than skincare or make up that you have to order in! Hahaha YES the pore strips!! I have been using them for a while weekly and I have to agree about looking at the junk that comes off them. It's gross but fascinating!!! It gives me a great sense of satisfaction to see all of it coming off. The next day my nose always feels fantastic and so smooth... ahh! I love the pore strips, and love looking at the stuff that comes out of my pores. Gross, but interesting...and it feels like I'm doing something as well! I love products that you can see and feel working. It's nice to know your money isn't being wasted. Ohhh don't let one bad experience put you off, especially if you've used it lots before. I haven't tried the night serum, but will need to put it on my wishlist. thanks for the tips on how to use pore strips.